The Palm's seafood never fails me. Over-sized jumbo prawns are served up daily (I could survive on these). But, what I truly crave is their crab appetizer. If you skip the cracker basket brought to the table, the 'meal' is carb free. Their tangy cocktail sauce is perfection, making this seem more like a splurge than a save for a diet. 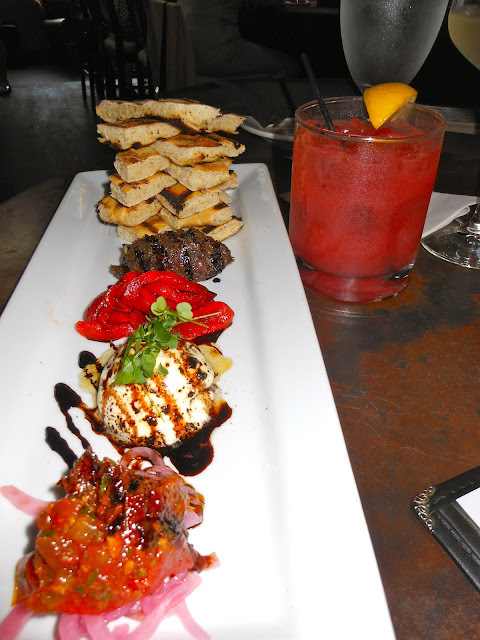 Virago also does a wonderful job on appetizers, offering so many fab items that choosing is the hardest part. Grab a friend and order in multiples. Chop sticks make it fun to share. Robbie Wilson's concoction of brussels sprouts with chilies are my new obsession. Filling, healthy and roasted with intoxicating seasonings. I also cannot get enough of their shaking steak (filet tips w/ butter lettuce and a wow sauce). Equal love goes to their sister restaurant, Tavern, where the wood-grilled artichokes are seasoned perfectly. Another duo that always gets it right... Park Café and Eastland Cafe. Both have a version of Goat Cheese Brûlée (or something similar depending on the season). For the recipe, check out High Heels to Hot Wheels blog. Eastland serves it with local honey, toasted flatbread, roasted peppers and tomatoes. They serve to-die-for potstickers while Park Café's carpaccio with fresh parmesan always leaves me wanting more. The best part about these two places? Their (not so small) small plates are only $5 early evening during the week. With this offer, they're putting the Happy back in happy hour. Park Cafe's take on goat cheese...heaven! Taking cues from a few of my favorite haunts has me focused on serving smaller plates at home. 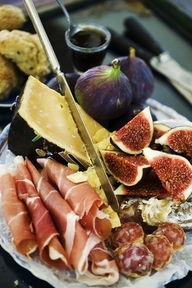 A simple platter with a bit of procuitto, cheese and whatever fresh fruit is in season is a sweet side for a big glass of wine on a low key night. If I want something a bit more substantial or have others joining, I look to Bon Appetit for inventive recipes. I adapt them a bit for speed/simplicity. 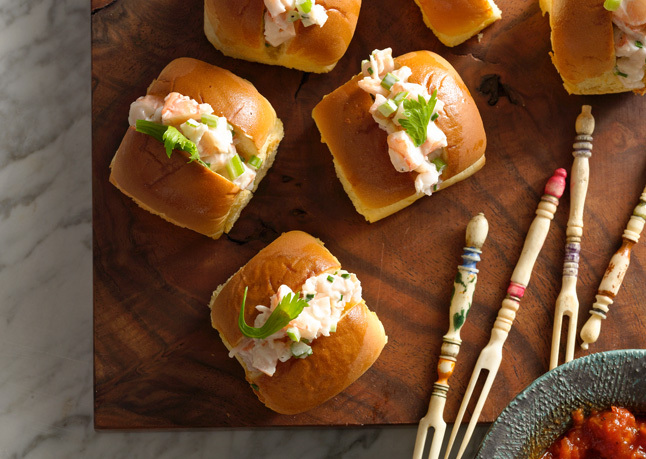 My current pick is the mini shrimp rolls (I use pre-cooked frozen shrimp to save time). The easy-to-follow recipe: http://tinyurl.com/9ub8vfd. What is your favorite small plate at a restaurant? One you swear by at home? Please let me know on the Southern Sophisticate.